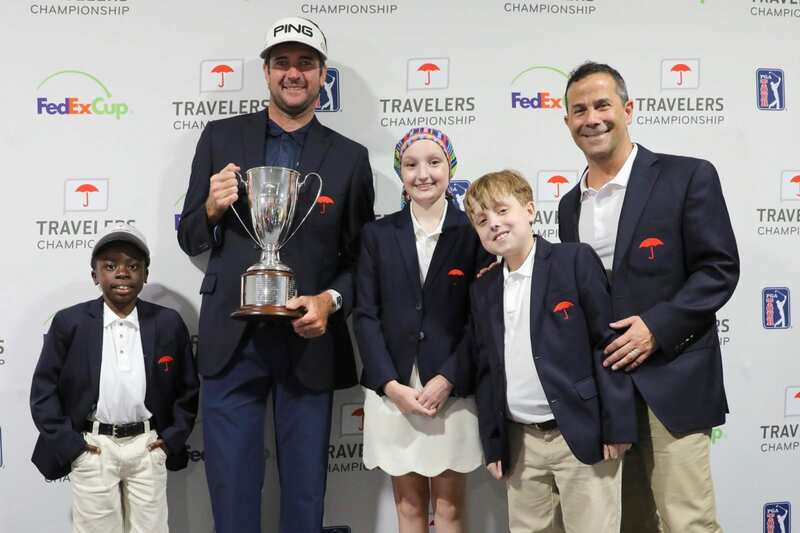 A day after winning the Travelers Championship in Cromwell, Conn., Bubba Watson gave back a good chunk of his $1.26 million winner’s check. Because he feels at home and because he’s a generous human being, Watson donated $200,000 right back to the Travelers Championship on Monday. That amount brings the tournament’s total to exactly $2 million for charity. Watson’s money will support The Hole in the Wall Gang Camp, which provides camp experiences for children facing serious illnesses and impacts more than 20,000 children and family members each year. The Hole in the Wall Gang Camp is the tournament’s primary beneficiary. Of course, this isn’t the first significant financial donation Watson has given. To name a few, there was $1.6 million to The Studer Family Children’s Hospital at Sacred Heart, a total of $350,000 to flood victims, and $410,000 to Birdies for the Brave after he sold his 1939 Cadillac LaSalle C-Hawk Custom Roadster.